The slides have links within them that can be clicked for further information. 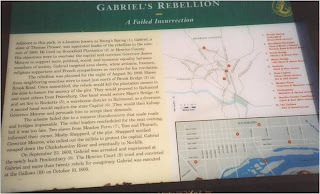 Stratford Presenter Doug Egerton - Gabriel's Rebellion: The Virginia Slave Conspiracies of 1800 and 1802 by Douglas R. Egerton. 260 pgs.